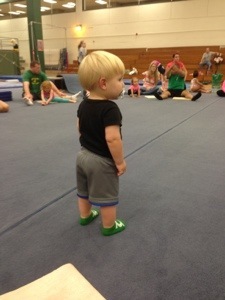 Gymnastics class last week was amazing. I cannot wait until class tomorrow. MJ had fallen asleep in the car on the way to class, so he was a little grumpy and uncooperative to begin with. Once he realized there were plenty of girls to stare at, he was in his glory. 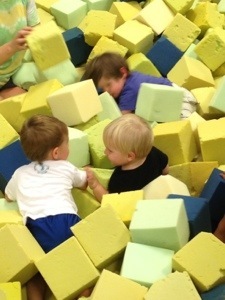 There was a cute little obstacle course set up and my little man was unafraid to show off; I was so proud of him.